For many local drivers, the introduction to the Reeves Volkswagen car dealership starts when they browse our inventory of new Volkswagen vehicles. Additionally, Reeves Volkswagen has earned a reputation for having pre-owned cars and SUVs. Thoroughly inspected, each offers the opportunity to own a great vehicle at a competitive price. Our selection of used cars changes constantly but the high quality remains consistent. Whether you’re from Wesley Chapel or Carrollwood, FL, come visit us today for an exciting test drive. The fun of something new doesn’t have to end when you drive your Volkswagen off our dealership’s lot. Reeves Volkswagen has many ways to keep your car fresh and your driving experience exceptional. We offer authentic Volkswagen parts to enhance the performance, style, or convenience of your vehicle. Furthermore, our dealership is dedicated to keeping your Volkswagen model running just as well as it did on day one. Our convenient onsite auto service and repair department is here for all your service needs. 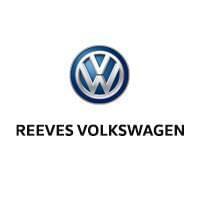 What else does Reeves Volkswagen have to offer? Aside from expert knowledge in everything automotive, we simply love serving you. Come in and see us today in Tampa Bay, Florida.